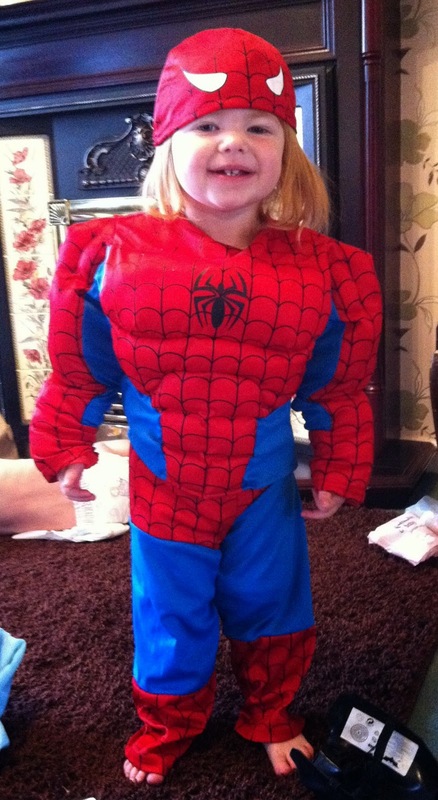 Our children are OBSESSED with Spiderman - even Heidi loves to dress up and pretend she is the masked superhero. We might not be enjoying an Amazing Spider-Man 3 film in 2017 as promised as the filmmakers drop Andrew Garfield to find someone younger to play Spidey, we can still embrace all things Spider-Man and call it a party. Whether it’s for a little boy or little girl, a grown man or a grown woman (or all of the above) here are some great ideas on how to have the ultimate Spider-Man party. Parents have to get involved too if it’s a kid’s party but if it’s more of a cosplay competition affair then brownie points go to the person who turns up dressed as Spider-Gwen – the latest addition to the franchise. Who, you’ve guessed it, is Gwen Stacey back from the dead (well, actually in an alternate Spider-Man universe) donning her very own spider suit. 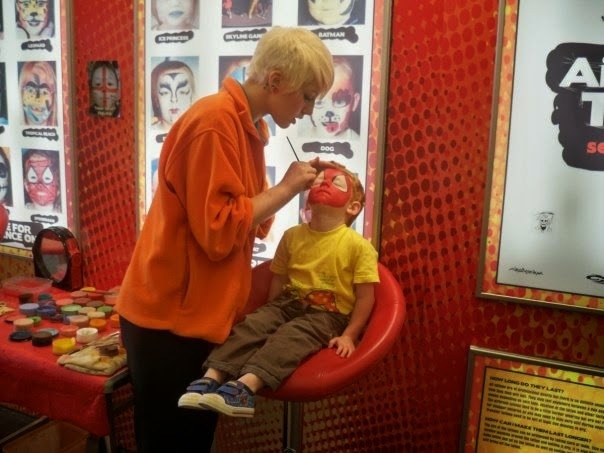 Alternatively just ask everyone to come in Spidey branded clothing, you can find Spider-Man clothes at LamaLoLi for really affordable prices or just go for painting your face to look like his mask. 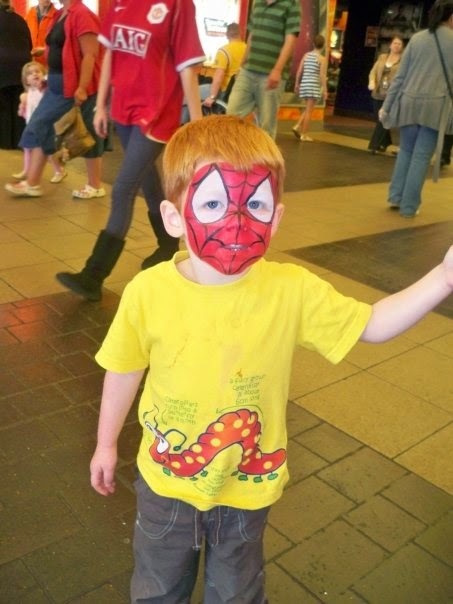 A party needs great decorations and creating a Spider-Man themed party is super easy. Red and blue balloons and streamers are a good starting point but if you want to get really creative take some clear balloons, stuff some fake cobwebs and a small spider inside each one, then blow them up – you should be left with a spooky spider web effect inside the balloon! Since Spider-Man came from a comic book originally, create some big POW and BASH signs to stick up around the room. You could even create a comic book style photo booth with mask props and speech bubbles for fun memories. Here’s a great tutorial you can follow. Every web slinger will love munching on Spider-Man related grub. We love the idea of oreos with blobs of icing and M&Ms popped on top for eyes and black liquorice stuck around the edges in the cream for legs, to create mini edible spiders. Simply go for a red and blue theme with the food (blueberrys and strawberry skewers, bowls of blue and red sweets etc.) and your party will definitely be on theme. For the adults, why not indulge in some Spidey themed cocktails? Simply use grenadine, vodka, cranberry juice, blue curacao and lemonade while following this recipe. Of course you can also create a non-alcoholic version using blue and red Powerade drinks, just be prepared for some pretty buzzed/radioactive tiny Spider-Men running around the party. To create a layered drink you simply pour the drink with the highest sugar content first and then carefully pour the one you want to layer over the top to end up with a really cool multi coloured effect. Whether it’s for your birthday, Halloween, Christmas or Christening you can put together the ultimate Spider-Man party and get the original TV show theme tune from the 60s stuck in everyone’s head forever more.